For college-bound students in the southeastern peninsula of Florida, The Florida Department of Education Office of Student Financial Assistance (OSFA) is your go-to resource for all things intended to help you afford higher education. For over three deceades, OSFA was the guaranty agency for the Federal Family Education Loan Program for Florida students, which has now transitioned over to the William D. Ford Direct Loan Program. OSFA’s website is very helpful in assisting students with information on the changes that have taken place in the lending world after the policy upheaval of the last few years and the consequential transition to direct lending. As a “lender of last resort,” OSFA has directly provided Stafford and PLUS Loans to students and parents whose colleges and universities were unable to secure lending elsewhere, and now guarantees support for the life of all loans with first disbursements prior to July 1, 2010. The OSFA website is excellent at keeping students and parents alike up-to-date with information on student loans, state grants, and lender resources, as well as housing general articles from the Department of Education. They are also a great resource for information on Florida programs such as the Nursing Student Loan Forgiveness initiative. 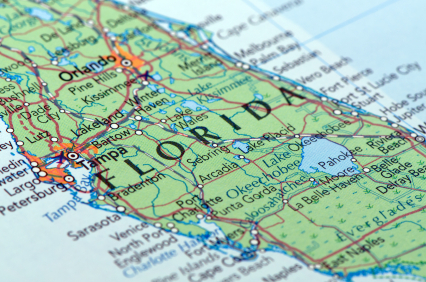 OSFA maintains a list of private, or alternative, lenders that will service loans for students in colleges within the State of Florida, such as Sallie Mae and EdFinancial. These alternative loans serve the purpose of filling in the gaps where federal aid falls short of covering the entirety of the tuition and fees associated with a college education. Federal loans are notorious for falling drastically short of supplying students with the college costs they need to complete a degree. In addition to loans such as the very widely disbursed Stafford Loans, most students must apply for private auxiliary loans, simply called alternative or supplemental loans, to make ends meet when in college. Lenders like Sallie Mae create their own special alternative loans that come with compelling benefits such as no origination fees and significant reductions in interest rates for online and automatic payment methods and prompt payment upon billing. The Sallie Mae family of loans are known for their ability to provide all the extra funding a student borrower may require. In most cases, an alternative loan may provide money that covers the balance of your tuition after your federal loans are disbursed. You must always apply for federal loans before you even consider an alternative loan, as the first is often a necessity while the second is generally supplementary. While many students hope to be able to qualify for an alternative loan on their own merit, many private lenders encourage young first-time borrowers to seek the help of a co-signor or co-borrower. If both you and your co-borrower have good credit, it can help your interest rate immensely and provide you with a financially secure loan. When choosing a co-signor, make sure it is an individual with whom you are comfortable entering into a legally-binding contract, and someone who is financially sound and reliable. Other than this stipulation, private loans are fairly simple to acquire and open to those studying any subject. Sallie Mae loans are open to both undergrads and grad students. Attendance at a college must be at least part-time. It is a given that you must, at some point, repay the student loans that you have so carefully acquired. Sallie Mae offers three different repayment options with different timing and low interest rates, so that you can choose the plan most suited to your financial situation and future. Most beginning installments now start six months after you leave school or graduate, giving you a short grace period to get your finances in order and save some money in the working world. However, some loans may require that you begin making payments on the interest immediately. Read the finely printed details of your loan, and make sure you understand the terms of repayment and interest, as well as the specifics on your particular monthly payments and when those must occur. Many students have multiple federal loans as well as an alternative loan and possibly even credit card debt. If your finances compound and payments begin to go awry, there is consolidation to consider before you get in too far. It is better to consolidate and pay less money over a lengthier period of time than ruin your credit by default. Always contact your lender if you think you risk defaulting on one or more loans. Consolidation loans are a good option for borrowers who wish to refinance multiple loans into one sleek bundle. When you consolidate you cut your monthly payments into about half the size, but you also extend your repayment period until the amount you borrowed is paid in full. Even though your loan ends up costing you more in the end, a consolidation loan also saves your credit future from destruction. Both private and federal loans are able to be consolidated, though consolidation loans differ in size, interest, timing plans, and terms of payment, so make sure you choose one that will serve your financial needs. The Florida Department of Education’s website is also a great resource for those wanting to research more information on student loans for the state and its unique initiative programs like the Bright Futures Scholarship Program and the Florida Public Postsecondary Career Education Student Assistance Grant Program. Between the Department of Education’s hub of helpful articles and OSFA, you should be able to access the contact information and pinpoint the resources you need for all financial aid and college loan programs, both public and private, in the state of Florida.